This quinta has existed since the 18th century and possibly even longer. Ever since it is owned by the same family. The time has come that this beautiful property has to be transferred to other owners to indicate a worthy new destination. The mansion has a built surface of approximately 625 m² and has two floors. The total floor area is approximately 1000 m². The whole house has been renovated in recent years and the biggest works have been done. Only a number of finishing cases still have to be taken in hand, such as, if required, the installation of false ceilings and the connection of the sanitary facilities (which is already present but not yet in place). The living area is on the first floor. This consists of several rooms including two large living rooms, 5 bedrooms, 3 bathrooms, a large kitchen, a covered veranda and various other rooms. The ground floor is almost the same size. It has also been restored but the rooms don’t have a specific destination yet. An indoor garage in which possibly 6 cars can be parked is situated on one end of the house. On the other side of the house is a family chapel and a covered outdoor kitchen, with a bread oven. The roofs are new and equipped with insulation. The windows are made of aluminum and have double glazing. Currently the house has a total of 4 fireplaces with built-in cassettes but of course other options for heating can be considered, such as the now energy-efficient air conditioning with heat pumps. Electricity and water are already connected. 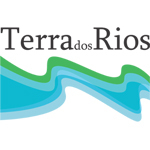 There is tap water and own water from a source. The associated land is about 1 hectare. The ground is almost flat and is covered with fruit and olive trees and grapes. An ornamental garden surrounds the house. At the front is a spacious patio with an old well. This large building with its massive granite walls, is really impressive, both inside and outside. A notificable special value is added by the family chapel attached to the house. The site also forms a special entity with its beautiful authentic water source and granite walls. Next to this quinta is another old village house that once served as a town house. This house is for sale for 80.000 euros (ref 937Se). 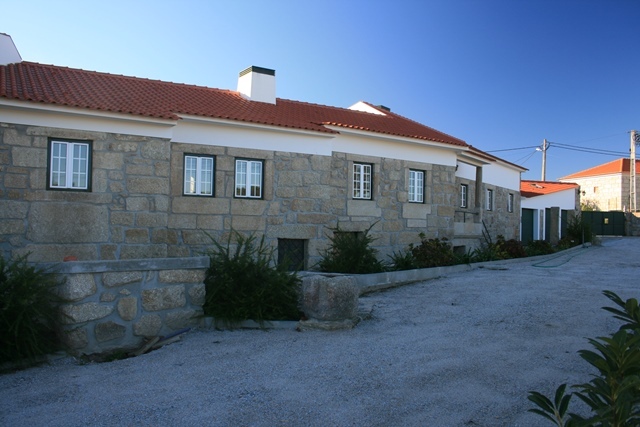 This quinta is located in the village of Oliveira do Conde. The village has a few cafes but is best known for its beautiful cultural heritage and wine producing quintas.The accessibility is good via a paved road. Carregal do Sal is about 2 km away. In this small provincial town all important facilities are present such as shops, post office, banks, restaurants, first aid, schools, weekly market and a station. The larger towns of Viseu and Coimbra are about 35 and 50 km away respectively.